When we think of the role women played in the Civil War, most of us think of nurses tending wounded soldiers or housewives making bandages. But, in her book, Liar, Temptress, Soldier, Spy, Karen Abbott tells the thrilling stories of four women spies — two for the Union side and two for the Confederates — whose daring exploits influenced the course of the war. There was Belle Boyd, the teenaged “Secesh Cleopatra,”who shot a Union soldier in her home, became a spy for the Confederate army, seduced Yankees and rebels alike, and developed an obsession with General Stonewall Jackson. 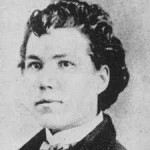 The 19 year old Emma Edmonds disguised herself as as a man, enlisted in the Union army, went undercover as a spy and exhibited undaunted courage as she undertook death defying adventures in her service to the cause. Rose Greenhow was a Washington belle who made no secret of her Confederate sympathies, yet managed a major spy operation in the heart of the nation’s capital. She turned powerful Northern politicians into founts of information by seducing them with her feminine charms and even undertook diplomatic missions to Europe to drum up support for the Confederacy. 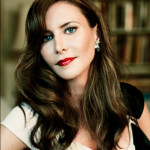 Karen Abbott is the New York Times bestselling author of Sin in the Second City and American Rose. 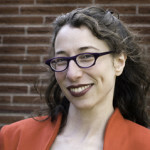 She is a regular contributor to Smithsonian.com, and also writes for Disunion, the New York Times series about the Civil War. We spoke with historian-turned-novelist Lois Leveen in March of 2013 about her novel The Secrets of Mary Bowser, based on the remarkable true story of Mary Bowser. As we heard in our first segment today, Bowser was freed as a young girl by the Abolitionist daughter of her owners, Elizabeth van Lew, given an education in Philadelphia, and then she returned to the South to become a spy for the Union Army during the Civil War. Lois Leveen has taught English literature at UCLA and Reed College. 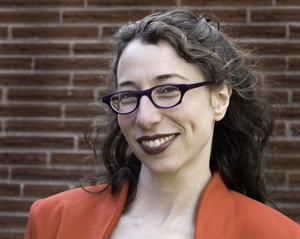 She is a regular contributor to Disunion, the New York Times series about the Civil War.